Personalization is the name of the game in modern marketing. Consumers demand tailored experiences, having grown accustomed to scrolling through their Instagram feeds and seeing intimate, conversational posts from their favorite influencers. Now, they crave equally personal engagement from brands. Fortunately, big data enables marketers to create the types of content and experiences their audiences want. User metrics indicate which articles, videos, and social media posts resonate most with consumers. Brands can use these insights to create targeted marketing campaigns that hook users and keep them coming back for more. The sheer amount of information made available by big data often seems overwhelming to marketers who are unaccustomed to dealing with metrics and analytics. But platforms such as Hadoop and Hive simplify the process of collecting and organizing information, so you can zero in on key insights. The secret to using big data effectively is to identify which metrics are relevant to your audience, discarding the rest. Such focus allows you to develop and execute campaigns quickly that address your users’ needs. There’s a significant learning curve to getting personalization right, and mastering it requires time, patience, and interdepartmental collaboration. Although the vast majority of marketing professionals recognize that personalization is critical to their success, 65 percent of those interviewed in one study said silos in their departments hindered progress. That’s a real problem because personalization only works when you take a cohesive approach. The SEO team should not be launching campaigns that are completely disconnected from what the social media crew is doing. Marketers must collaborate with each other, as well as with colleagues in other departments. Business managers and IT professionals can provide invaluable insights on how to improve the execution of marketing strategies. Most importantly, everyone involved with marketing initiatives should operate under the banner of offering a personalized customer experience. Research shows that 48 percent of consumers included in one study spent more money with companies that personalized their interactions. Another report indicated that 72 percent of people interviewed said they were likely to do business with brands known for good customer service. Oay, you get it: Personalization and big data are still important. Let’s look at how you can combine them to create resonant campaigns that generate leads. Nothing matters more than data management. You can collect every piece of information humanly available on users, but not a single scrap of it matters if you can’t process and analyze it effectively. 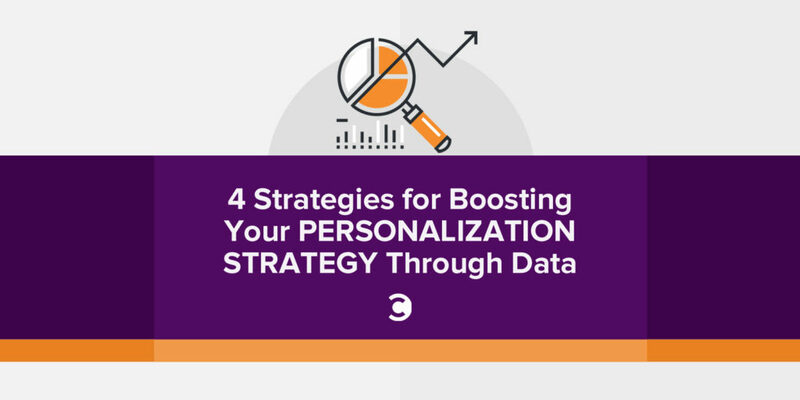 Great personalization campaigns answer questions consumers haven’t yet thought to ask, speak directly to their circumstances, and engage them with the types of content they find most valuable. All of that information lies within the data, and a data management system will help you find it. Purchase a data-processing platform that suits your company’s processes. There are solutions for finance and accounting, store operations management, order processing, product management, and just about every other area essential to running a business. Find ones that align with your data capture needs, and implement them ASAP. Marketing teams often think they know their customers better than they actually do. Data dispels misconceptions and helps you avoid costly mistakes. Customers leave trails of information about which websites they frequent, which products interest them, which videos they’ll watch all the way through, and which articles they believe are worth sharing with their social networks. All of these habits provide honest, comprehensive pictures of who these people are. Rather than rely on fallible human instincts, look to the data to build campaigns that match consumers’ online lives. Until 2016, most companies focused on data collection. They weren’t entirely sure how to use it, so many hedged on putting the insights they’d gathered into action. That trend won’t hold in 2017. 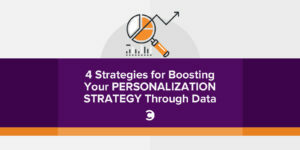 Brands now understand that personalization is critical to customer engagement and retention, and they’ll move swiftly to implement cutting-edge, customized campaigns. Create a team that focuses exclusively on monitoring analytics. Connect its members with your marketing department, so they can make recommendations for reaching consumers in real time and optimizing the customer experience. Give the data team access to the full spectrum of user data by pulling from websites and web apps, smartphone activity, tablet behaviors, and even in-store purchases. The more robust their data sets, the more effectively marketing will be able to put their insights to use. Big data is transforming every industry, though not necessarily in the same ways. For instance, in my industry—travel—airlines are using data to improve their “look to book” ratios and increase revenues. Travel agencies can track trends among different age groups and market their destination packages accordingly, while hotels can pair loyalty customers with the rooms and services they favor across locations. Consider how big data can boost the customer experience in your industry. Look to your competitors; see how they’ve utilized data so far and how they’re likely to incorporate it in the future. Big data is a nonnegotiable for marketers, especially as trends toward personalization ramp up. Those that get it right stand to ride a $430 billion wave in increased productivity benefits. By investing in high-quality data collection and management now, you will position your brand for long-term customer retention and profitability. Tony Tie is a numbers-obsessed marketer, life hacker, and public speaker who has helped various Fortune 500 companies grow their online presence. Located in Toronto, he is currently the senior search marketer at Expedia Canada, the leading travel booking platform for flights, hotels, car rentals, cruises, and local activities.